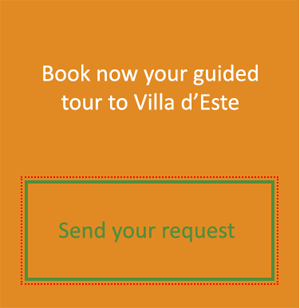 We offer an educational tour on Villa d’Este specifically designed to offer the children the opportunity to develop a greater capacity for facts and content observation and assimilation during the tour. The use of the fable or the short story is the unifying element, an ideal solution to deal with elements and real facts of the life of Cardinal Ippolito d’Este and to stimulate the imagination by connecting the figure of the cardinal to his villa. A valid method to transform a simple guided tour into a “journey through time”, a re-enactment of characters, buildings but also facts and whims of the “superb Cardinal”. 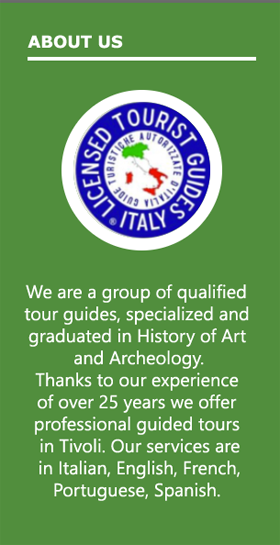 Educational workshop and half-day interactive tour itinerary – With this educational path we offer, in addition to the on-site educational path, also a laboratory for in-depth study (to be carried out in class) in which the Villa’s main artistic techniques and works of art will be studied through games and educational activities. 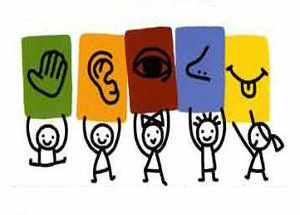 Half-day educational program (2 and a half hours): for a minimum of 15 children. An educational path based on the use of comics offers children the opportunity to develop a greater capacity for observation and assimilation of facts. The use of comics or life facts as an aggregating element can be the ideal solution to deal with elements and historical data of the life of Cardinal Ippolito d’Este. The path will therefore allow a greater assimilation of the topics and a more lively attention of the students during the guided tour. Educational workshop and half-day interactive tour itinerary – This educational path offers, in addition to the on-site educational path, also a laboratory for in-depth study (to be carried out in class) in which the Villa’s main artistic techniques and works of art will be studied through games and educational activities. Paths for children of Kindergarten, 1st and 2nd Elementary. The program includes an educational path that offers children, through a fable or a short story, the ideal solution to deal with Hadrian’s life facts linking the figure of the emperor philosopher-successor of Trajan to his home, testimony of the whims of ‘ ” Hadrians”. Educational workshop and half-day interactive tour itinerary – This educational path offers, in addition to the on-site educational path, also an in-depth laboratory (to be carried out in class) in which the Hadrian’s Villa main artistic techniques and artworks realized can be studied. But also the many artworks inside the villa in order to recognize and differentiate the work of different artists through games and educational activities. Routes for primary and secondary school grades. An educational path which focuses the attention on the functionalities of Villa Adriana, trying to discover how this “machine” worked: an immense structure moved forward by thousands of slaves and servants. In this way a simple visit will be transformed into a “journey through time”, recalling the characters, the buildings and everything that happened in the villa. Educational workshop and half-day interactive tour itinerary – This educational path offers, in addition to the on-site educational path, also an in-depth laboratory (to be carried out in class) in which the Villa Adriana’s main artistic techniques and artworks realized can be studied. But also the many artworks inside the villa in order to recognize and differentiate the work of different artists through games and educational activities.